When you are sending an email on behalf of your firm, it is business correspondence, so make sure to follow your firm’s protocol for correspondence. When you are sending an email to a group of people who do not know each other, are not part of your firm, or are members of an organization and particularly groups that may include vendors, use the blind copy (bcc) for all the names. That way, each person gets a copy of the email but everyone doesn’t see exactly who else received the message. This keeps groups of people from receiving unwanted “reply all” messages and from being added to mailing lists they didn’t choose to be included in. It is common courtesy. If you are typing an important email, wait to enter the recipients’ information until you have finished typing and proofreading the email and making sure the appropriate attachments are included. Once you are completely satisfied, then add the email addresses of the recipients. This will keep an email that isn’t done or isn’t quite right from the random send before you are ready. SLOW DOWN! Don’t type emails without taking the time to actually read them and make sure the proper things are attached. Moving too fast and multitasking are bad combinations when drafting emails. Know that when you send an email outside your office, it is difficult, if not impossible, to recall it if somehow you’ve attached the wrong file or have a major typo. This happened to me just today. I call it one of my “Squirrel” moments (which I have a lot of throughout the day). If you don’t know what a Squirrel moment is, watch the Disney movie Up. Make sure the subject line reflects the actual subject of the email. It helps get your emails read by the recipients and helps them sort and file emails appropriately. With the volume of emails people receive these days, anything you can do to help them keep their email under control will be appreciated. If your email is really urgent and important, indicate that in the subject line. Start the subject line with “URGENT” or “NEED RESPONSE” and then add the identifying information about the subject of your email. You can also use the buttons to indicate priority status if that is available in your email program. Some recipients have their email set up so that those messages go directly to the top of their inbox so they see those first. The one caveat I have is not to overdo use of these triggers or, like the boy who cried “wolf,” the triggers will be ignored. If you are away for a day or more with limited access to email (which is how days away from the office should be), use the “out of office” feature of your email. It helps people who send you emails know not to expect to receive an immediate response. Otherwise, they may think you are just ignoring their email when, in fact, you haven’t seen it yet. Remember that immediate gratification seems to be the status quo in the business world today. Senders of email expect to receive a response right away and if they don’t receive one, it could tarnish your firm’s reputation and label you and your firm as nonresponsive. Don’t compose an email while you are angry. Or, better yet, compose the email (without adding the addressee’s email address just yet to ensure that it doesn’t accidentally get sent) to get it out of your system. Then delete it and compose an email worth sending. Do not send an email complaining about a co-worker, boss, client, expert, etc. Those emails somehow have a way of “leaking” and you don’t want to be a part of that debacle. If you receive an email requiring a response but you don’t have time to respond right then, email back and indicate that you have received the email, but will get back to them later with the response. It will let them know you’re aware of the task and not just ignoring their email (which could cause several more follow-up emails). Hopefully, one or two of these tips will help you with your email. Email is important and you need to take the time to make sure your email reflects your professionalism and your and your firm’s concern for accuracy. Email is not just a method of communicating with others over the computer. It is a reflection of you and your firm when you are using your company equipment to send emails to others—whether regarding work subjects or not. Email is just the same as sending a letter or any other type of communication. You need to make sure your message is clear and error free. Email was once considered a very informal way of communicating. Things are very different now. Think about how many times a day you use email to communicate with attorneys in your own office, clients, opposing counsel, and other professionals. Email has really become a primary business correspondence and, thus, is formal communication. Treat it that way. When you are using email to forward some kind of document, you need to make sure both the email and the attachment are proofread and are an accurate reflection of you and your firm and the quality of your work. I personally love that our Outlook Office Professional Plus 2013 is picking up when it looks like you intended to attach something but haven’t attached it before you hit send. But even if you don’t have that version of Outlook, before hitting send, check your email for accuracy—that it is going to the correct person (don’t trust your email program’s autofill) and that your attachment is correct AND attached. When you are sending an email—particularly one going outside the firm—don’t trust the “send” spellcheck. You know which one I mean. You press send, it tells you words it thinks are spelled wrong, fixes them the way you tell it to, and sends it off into cyberspace. Were words that were spelled correctly still the wrong word? It is entirely possible. If you type “The client doe snot have any comment to your revisions,” it is all spelled correctly, but is it what you really meant? Take the time to read your emails and actually proof the email before you press send. When you are using your firm’s email mail system and the email address reflects the firm/company name, you are the company. To the reader of the email, you are representing your firm. 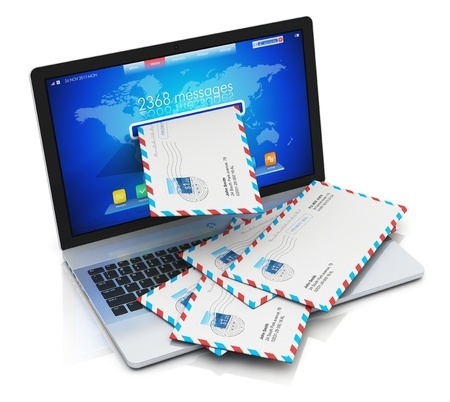 When you are using your firm’s equipment or software to send email, the mail belongs to the firm. They have the right to set up templates or give direction for how they want emails to look and what they want them to contain. Find out if your firm has those standards set out somewhere. Each email outside the firm should have a signature block just like every letter would. And just like every business correspondence, if you are not a lawyer, make sure your signature block contains your title. Otherwise, the reader may automatically assume you are a lawyer and are giving them legal advice. 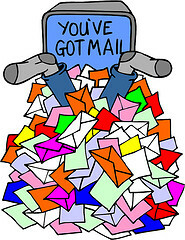 Be careful when responding to email and choosing “reply all.” Does everyone listed on the email really need the information? In today’s law firms, people can easily get over 200 emails a day, so any that they don’t have to have will put one less email in their box. However, don’t assume people don’t need to be included. If the subject has changed or someone has indicated they can be dropped from the email chain, that is one thing, but be careful making the assumption that people don’t want to be included. When in doubt, include everyone in the original group. Make sure the subject line of your email is accurate. Even if you are responding to an email chain, if the subject has changed, change the subject line. It not only makes it easier for the reader to sort information they really need to deal with at any particular time, but it makes it easier to search later. Who knew email was so complicated? It really isn’t complicated, it is just good common sense. And it is good business sense to make sure your email represents you and your firm in the best way possible.